Tours - Fallen Acorn Brewing Co.
Get up close to the brewhouse and brewing equipment on a 2 hour guided tour with our Head Brewer Ed. Gain an understanding of the brewing process and how beer styles truly differ. You'll learn everything you ever wanted to know about brewing, if only you'd remember it the next day! Your tour includes 3 pints of Fallen Acorn beer each, and our Tap Room is open afterwards for further beers. 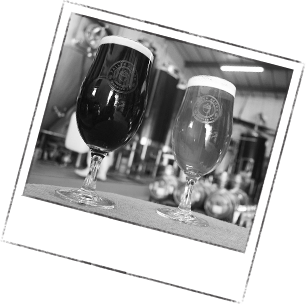 Our Brewery Tours run every 3rd Thursday of each month or you can book a Private Group Tour. If you'd like something more bespoke please just ask, we'd be happy to put together an event for you. Group tours must be booked and paid for in advance with a minimum of 10 people per tour.